The straight leaf is oval, smooth and pointed 2,5-8 cm long. Whenever fresh, the leaves are sparkling and green on top with lighter undersides. When dried the bay leaf is anolive green in colour. Used in garnish or utilised as a part of soups, stews, sauces and daubes. Used as flavouring for meat, poultry and fish. Often utilised as a part of a marinade for Middle Eastern and Greek kebabs. Bay leaf is utilised to flavour sweet dishes likecustards, creams, sweet bread, etc.It is utilised for making smoked cheese with bay leaf. 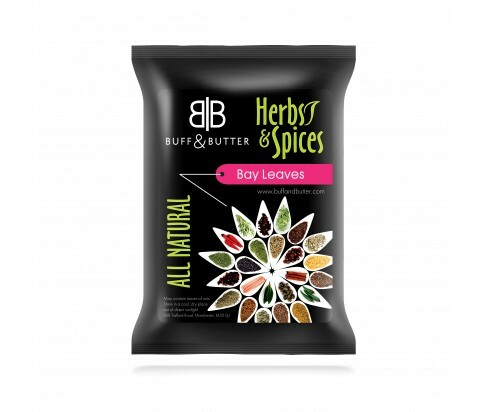 Bay leaves are utilised to infuse the milk forrice pudding or custard. Bay leaves are likewise utilised as a part of the arrangement of court bouillon. Contains numerous minerals and vitamins that are basic for ideal well-being. It has diuretic, appetite andastringent stimulant properties. Help calm colic and flatulence pain. The segments in the oil can likewise be utilised as a part of the treatment of joint pain, muscle pain, influenza and bronchitis. Useful for treating migraine headache, high glucose, gastric ulcers, bacterial and parasitic diseases. Bay leaf has been utilised as a homegrown solution for headaches. In the old ancient times, the Romans considered bay leaves to be a glory symbol. Developed effectively in Mediterranean climate areas, the bay leaf is a strong evergreen bush that develops cultivated or wild. In warm regions, it can develop up to 18m in height. In May, the unnoticeable white blooms arrive in groups. The fruits are red-blue single-seeded small berries that later turn dark and around 12 mm in size.